Dr. Arvind G Kulkarni heads the ‘Mumbai Spine Scoliosis and Disc Replacement Centre’ as a Consultant Spinal Surgeon at Bombay Hospital, Mumbai, one of the oldest and largest hospitals of India. 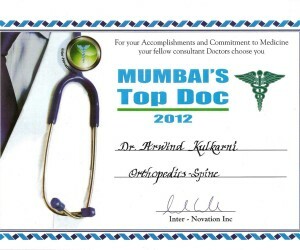 He has a vast experience in spinal surgery having trained in some of the top spinal centers across the globe such as KEM Hospital Mumbai, National University Hospital – Singapore, Westmead Adult & Children’s Hospitals, Australia, St George Hospital – Australia and Toronto Western Hospital & Hospital for Sick Children Canada. He is one of the pioneers of Minimally Invasive Spinal Surgery in India (introduced Micro-Endoscopic techniques using the MetrX system for the first time in India in 2007). He is also one of the pioneers of Artificial Disc Replacement (name mentioned in Limca Book of Records for performing the first Artificial Disc Replacement [ProDisc-L] in the country). His special interests are Minimally Invasive Spinal Surgery, Deformity Correction, Artificial Disc Replacement, etc. 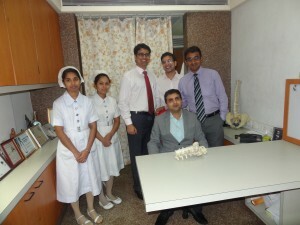 He is an invited faculty at most of the national spine conferences and workshops. He has made various national & international podium presentations. He has numerous scientific publications in high-impact journals to his credit. He has also contributed to chapters in text-books. He has done clinical research in various fields – morphometric study of Indian skeletal structure and size in relation to the application of implants; craniovertebral index and its application; innovative treatment of neglected high-degree scoliosis; spinal tuberculosis etc. 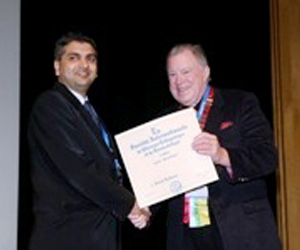 He was awarded the ASSI (Association of Spine Surgeons of India) Best Publication Award in 2005. He has been awarded the Scoliosis Research Society (USA) Global Outreach Award twice in 2004 and 2005. He has been a recipient of Korean SICOT award in 2008. He has been honoured by ‘Akhila Bharatiya Rigved Brahmin Sangha, Mumbai’ for contribution to the society in November 2011. 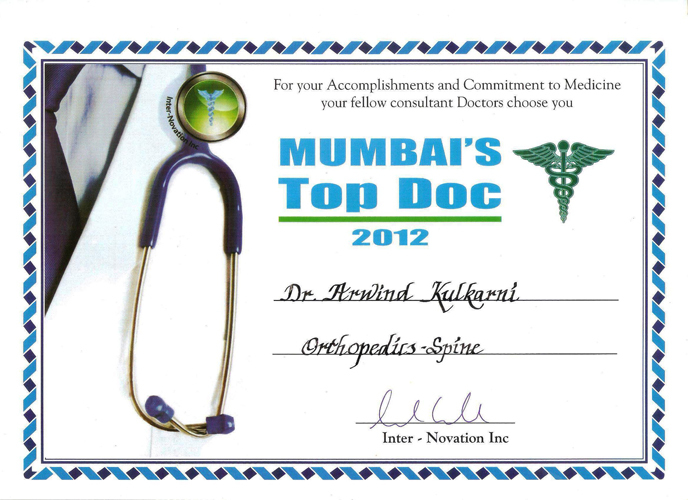 Recently, he was nominated among the top 3 spine surgeons of Mumbai by India Today (August 2012). 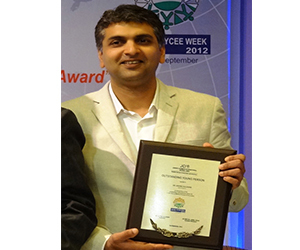 He was recently awarded ‘Outstanding Young Achiever Award’ by Junior Chambers International (JCI), Marine lines, Mumbai. 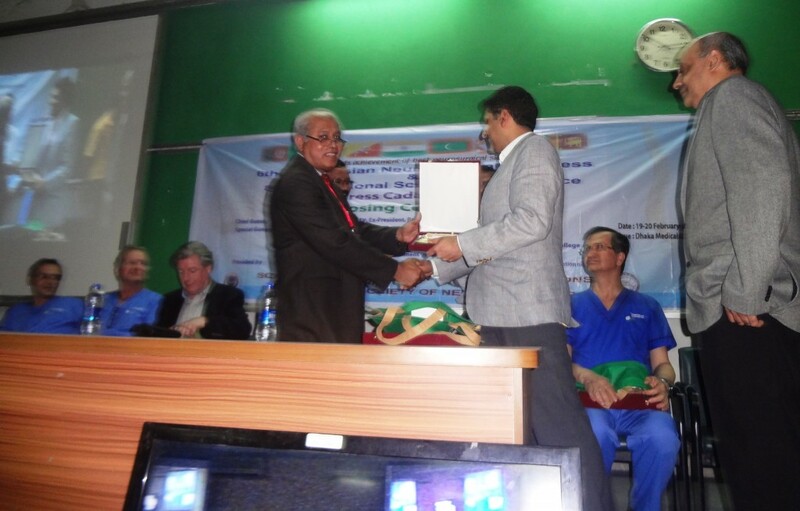 Minimally Invasive Spine Surgeons of India [MISSI]. 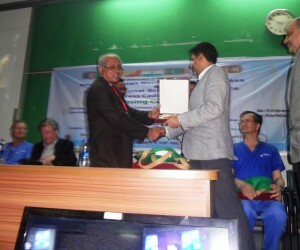 Felicitated by Bangladesh Neurosurgical Society (BNS) Receiving Award from the President of BNS.